This recipe is based on the Half Syn Roulade, and although the cake part is quite thin, it is absolutely delicious with the filling. 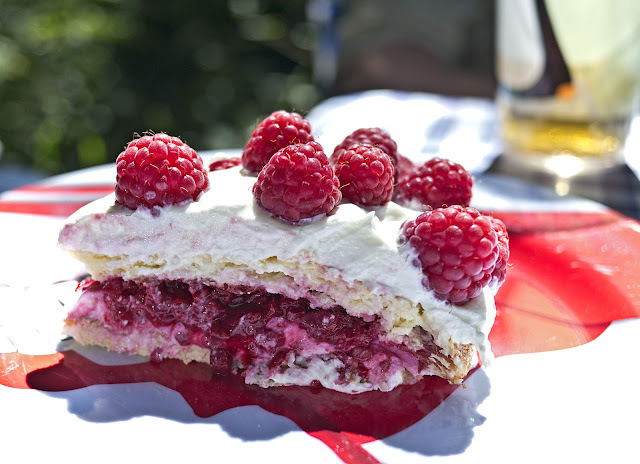 I used frozen raspberries inside the gateau and fresh on top, but you can use either. It would work equally well with strawberries, blueberries or cherries, I'm sure. I mixed the fromage frais with yogurt and quark, mainly because of the consistency, as fromage frais on its own can be quite runny, but you can mix and match as you like. Mix together the egg yolks, baking powder, sweetener and half the tub of quark, using an electric whisk. In a separate clean bowl, using a clean whisk, whip the egg whites until firm. Gently fold the yolks into the whites and mix well. Pour into two greased 20cm springform cake tins and bake in the oven at 180°C for 10-15 minutes, keeping an eye on it to ensure it doesn't burn. Remove from oven and leave to cool. Mix the other half of the quark with the yogurt and fromage frais and sweetener to taste. 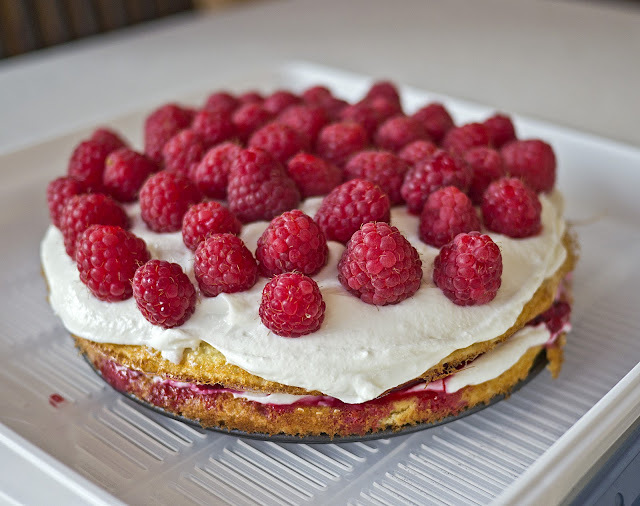 Spread half over one of the cakes and place half the raspberries on top (this is where I use the frozen ones, mainly because they are almost mushy when they defrost) . Place the other cake on top and spread the rest of the fromage frais mix over. 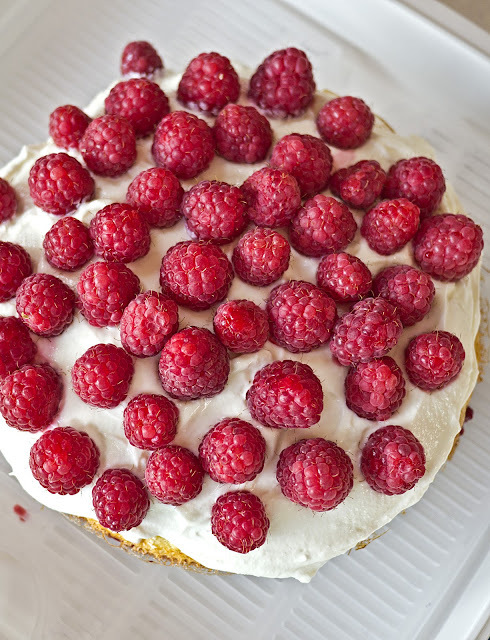 Top with the fresh raspberries and serve.